The UK is set to leave the European Union on 29 March 2019. 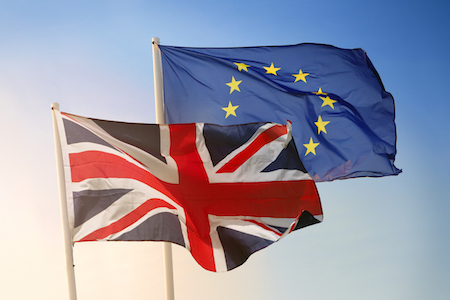 As the future relationship between the UK and EU is yet to be defined, ADS is working on behalf of the Aerospace, Defence, Security and Space sectors to investigate how leaving the EU will affect our sectors. On this page, you can find information about how Brexit could affect our sectors. As a member of EASA, the UK benefits from working to one set of safety certifications when exporting aircraft products and services across Europe, and from the ability for EASA to conduct bi-lateral agreements with key global markets. It is also shaping standards for R&D projects, environmental regulations and new markets (e.g. drones). As the UK leaves the EU, significant time and cost have been put into rebuilding the certification capabilities of the UK CAA, but remaining a member of EASA is the most cost-effective and practical solution to maintain safety and competitiveness. Should the UK leave the EU with No Deal, UK based design, production and maintenance approvals would no longer be valid in the EU, causing significant disruption to aerospace supply chains and aviation services. The EU has proposed measures to retain continue recognition of some approvals, in order to maintain business and safety connectivity, and these are being placed before the European Parliament for approval. UK companies are strongly advised to apply for third-country approvals with EASA as soon as possible, as the process is taking between 4 and 6 weeks to complete. In order that approvals will continue to be recognised within the EASA system in the event of No Deal. Further details can be found on the EASA website. REACH is the chemicals safety programme, governed by ECHA, which is responsible for the registration and authorisation of chemicals for use across the EU/EEA. Through participation in the EU, the UK benefits from the same system of chemicals regulation across the continent, so UK manufacturers, importers and suppliers do not need to comply with additional regulation when trading with the EU. If there is no deal reached then the UK-held registrations and authorisations with REACH would become invalid in EU27. Registrations are relatively easy (if costly) to shift to EU27 but authorisations take years. As a consequence, European defence supply chains that rely on UK-based certifications will have to stop production. Leaving the Single Market and the EU Customs Union poses a risk to the way in which goods move between the UK and EU, with the potential for disruption and delays should additional checks or administration be put in place. If there is No Deal reached then the movement of goods will be treated as third country imports/exports rather than intra-EU movements. The licences & permits for lorries to drive and deliver in the UK and EU27 would also no longer be recognised. Even with recent government announcements of ‘easements’ on Safety and Security declarations and the introduction of transitional simplified procedures there would be significant delays for goods arriving via Dover-Calais crossing, Eurotunnel and across the Irish border, causing issues and delays with the supply chain. There is also limited scope for pan-European supply chains to manage and mitigate the increased burden/cost. Today the UK currently plays a leading role in EU Security and Defence cooperation. Irrespective of Brexit, the UK will remain closely linked to the rest of Europe for our national security. Without a comprehensive Defence and Security treaty – including a Security of Information Agreement – reached, the UK would lose efficient intelligence sharing between the UK and EU countries, access to EU databases by UK law enforcement and security agencies, and cooperation between policing and judicial bodies, all of which is mutually beneficial for both the UK and the EU’s domestic security. Similarly, if new restrictions on collaboration, including on intellectual property rights, are introduced the UK would not be able to participate in Defence industrial research and development (R&D) collaboration that otherwise would have enhanced the UK and EU’s collective defence.The UK would also be blocked from fully participating in security-related Horizon Europe programmes except as a third country. The UK is a leader and influencer in collaborative EU R&D programmes, often helping to shape the research agenda and set future priorities. The UK is involved in more projects than any other country in the EU programme, leads more programmes than any other nations, and leads half of all the projects it partakes in. If the UK fails to secure a deal, UK organisations will have no access to Horizon 2020’s successor, Horizon Europe, or to the remainder of Horizon 2020. The UK would also lose assess and participation in Galileo’s Public Regulated Service (PRS). Further to this, without a UK commitment to match EU R&D funding the UK will face a long-term funding gap for research and innovation, as the EU currently funds almost £100m of UK R&D in the Aerospace, Security and Space sectors every year. Currently, the UK also participates in a number of European Space Agency (ESA) and EU Space programmes, such as Galileo and Copernicus. While the UK’s membership of the ESA is separate to its membership of the EU, failure to secure access to programmes could lead to an industrial and security capability gap. As it currently stands, the UK government has stated that it will no longer seek access to the Galileo Public Regulated Service, an encrypted satellite system, because the EU have barred the UK from full involvement in its development. Instead, the UK will explore options to build a sovereign Global Navigation Satellite System. Until 2020-21 UK businesses will be able to engage with the European Defence Industrial Development Programme (EDIDP), a number of capability areas where EU funding can support international collaborative programmes. Currently UK businesses will be excluded from the European Defence Fund (EDF) and treated as a Third Country. ADS’ sectors are part of integrated pan-European supply chains, have sites in other EU states and move their employees across national borders to provide services, expertise and to professionally develop their staff. These companies rely on freedom of movement to access skilled EU labour, plug chronic skills shortages and quickly respond to business critical production issues across European facilities. Without a deal there could be restrictions on the movement of skilled employees, which could disadvantage the UK as a location for investment. Currently, being able to work across Europe is attractive to highly-skilled employees and barriers to this will discourage individuals from joining companies in UK.